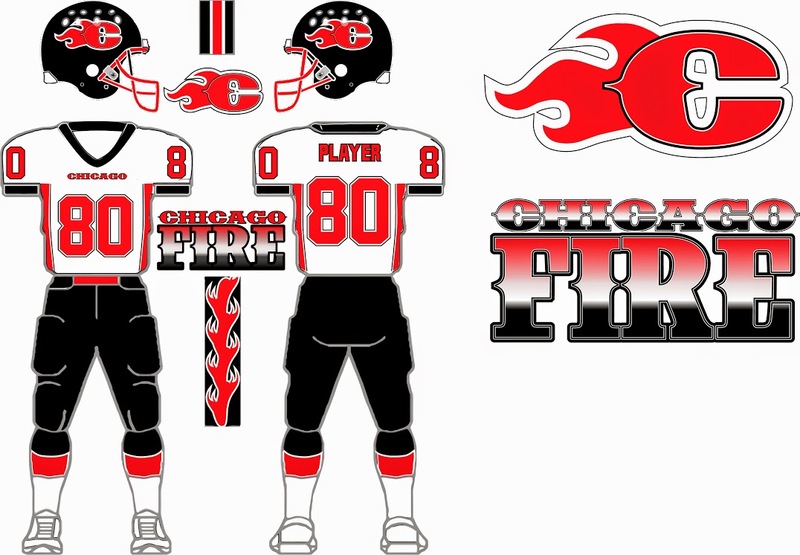 This is a look at the designs submitted for the Chicago Fire franchise. 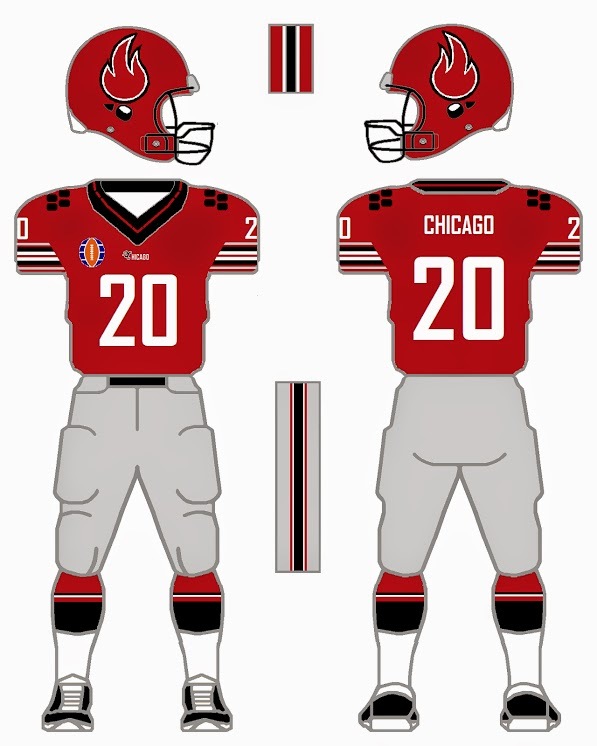 Kept the helmet logo- just made it smaller to not include the earhole in the helmet. 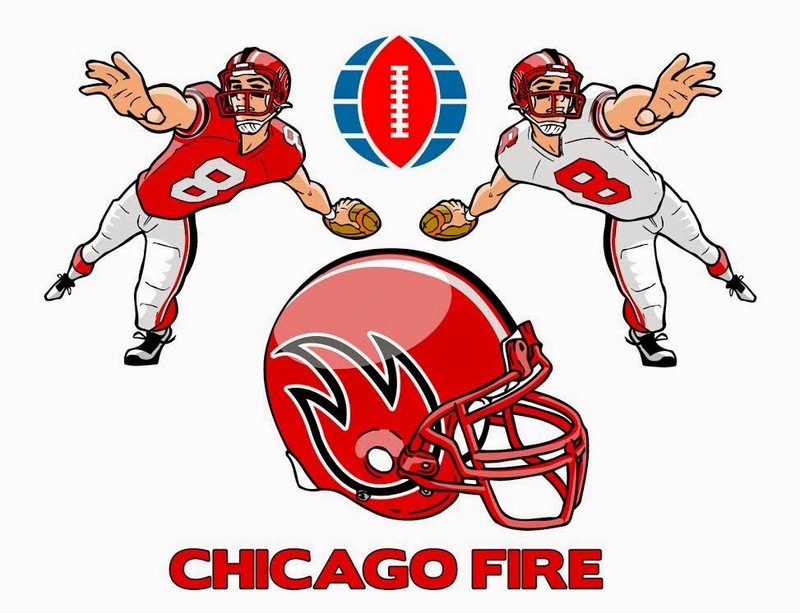 A unique and cool logo. 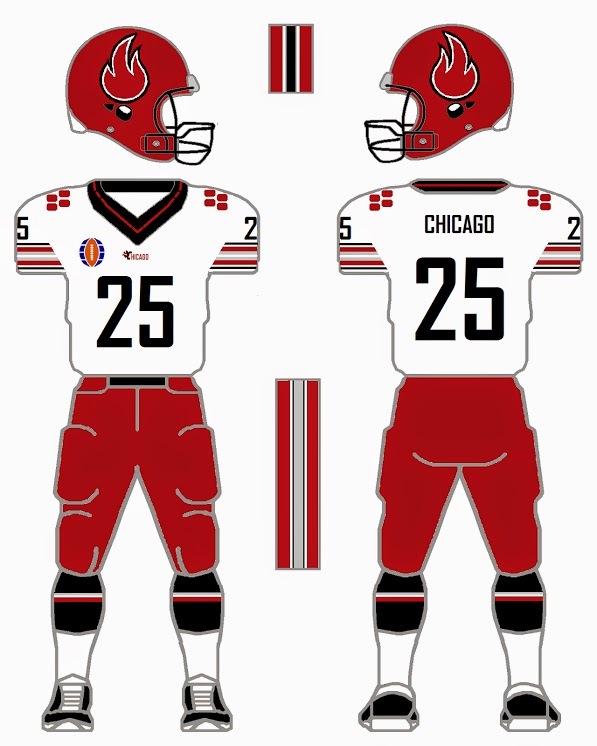 Colors - Kept these the same, added gray as an accessory. Black collar, rectangular type decoration to shoulders. Simple arm stripes. Wanted something clean and simple, modern yet reflecting some characteristics from 1974. WFL patch to rt chest. 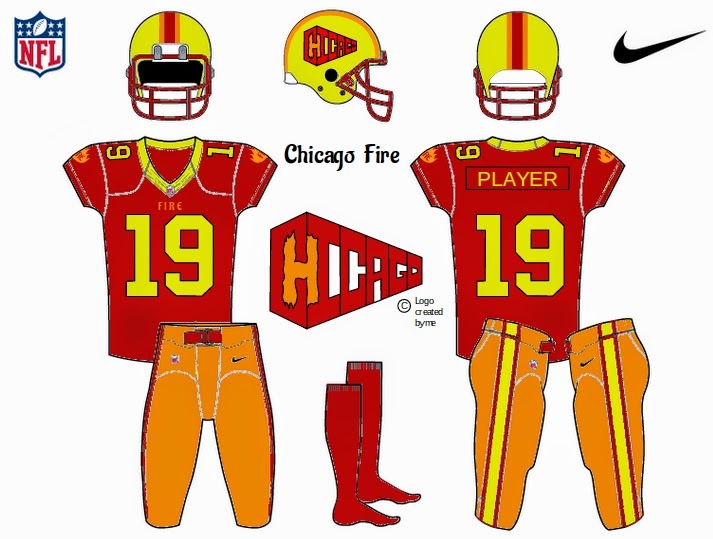 The colors of the jersey are obviously those of a fire: red, yellow, and orange. I made the logo a while ago but decided to update it and use it here to make the hidden H made of flames. 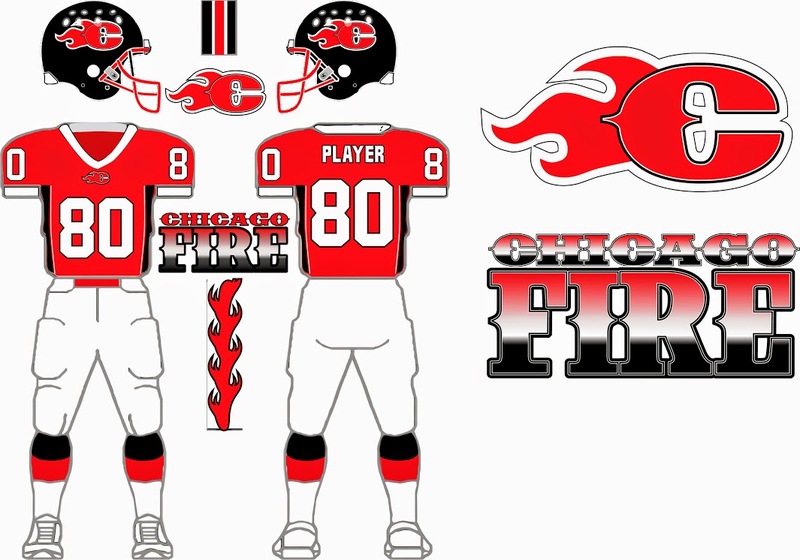 The sleeve logo is a modified version of the one they used back when existed, featuring more flames and the team name.